FEAR FACTORY ANNOUNCE DEAD LABEL AS SUPPORT FOR FULL EUROPEAN TOUR! DEAD LABEL JOIN FEAR FACTORY FOR ENTIRE EUROPEAN TOUR! Ever hear of the motto, work hard, play hard? Well, in this case there has never been a more truthful expression. 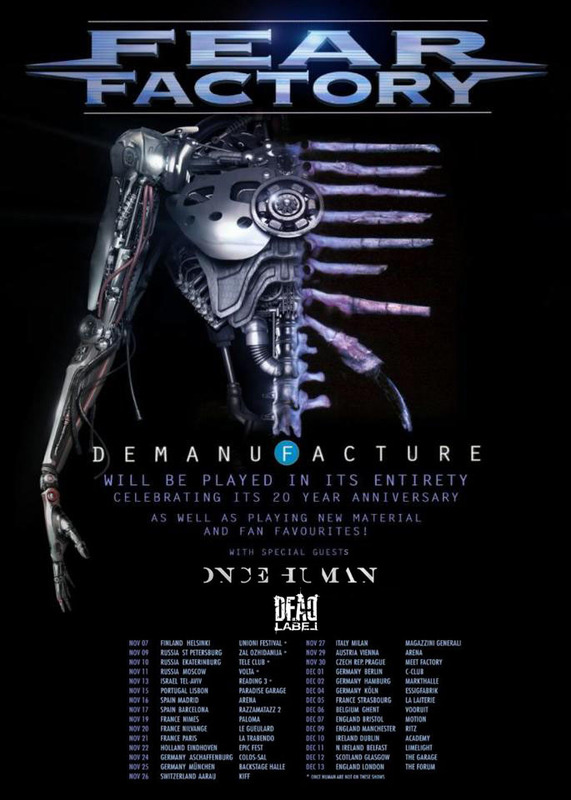 One of the hardest working bands in the Irish metal scene, DEAD LABEL, have been confirmed to join FEAR FACTORY and ex-Machine Head guitarist Logan Mader’s new band ONCE HUMAN! Find out more below. What a year 2015 has been for Dead Label. The Celbridge three piece have been working their fingers to the bone, achieving a list of milestones that would put most established touring bands to shame! Adding to the bands list of accomplishments will be the opening band for the forthcoming Fear Factory European tour, which kicks off on November 15th in Portugal and will be hitting Spain, France, Germany, Netherlands, Italy, Switzerland, Czech Republic, Austria and Belgium, before returning to Ireland for shows in Dublin and Belfast, and finally, a string of dates in the UK finishing up in London’s Forum on December 13th. 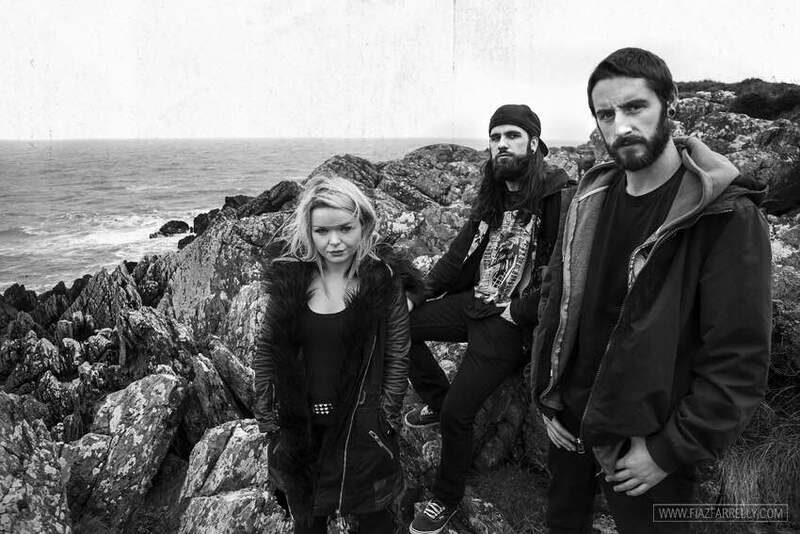 A run of Summer European dates saw Dead Label’s Salvation in Sacrifice, (see below) getting picked up by SCUZZ TV and creating a huge amount of interest for the band. 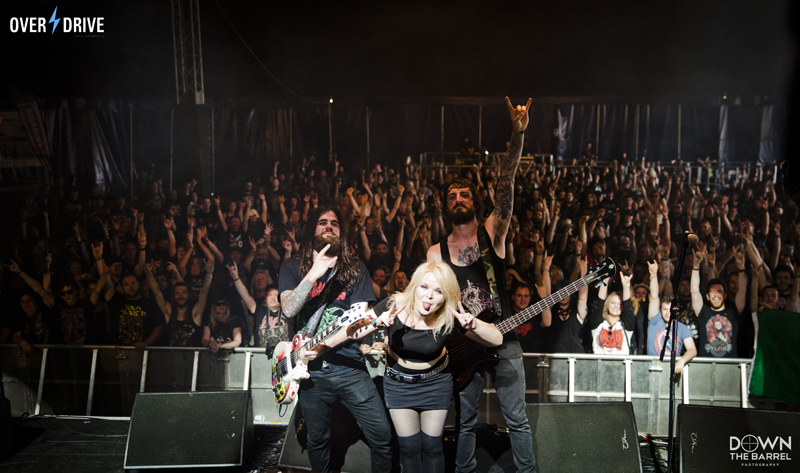 Their continuous rise in popularity saw them take to the Sophie Lancaster stage at this years Bloodstock Festival, causing a huge amount of talk amongst industry professionals and fans alike. Following their crushing Bloodstock performance, an invitation to join the mighty GOJIRA on their Summer Irish dates at the end of August, presented itself to the band, inspiring the release of the much talked about title track from the bands yet to be released Throne of Bones opus (see below),which was recorded by producer Chris Rakestraw (Megadeth, Danzig, Soulfly, Deftones). For more information on DEAD LABEL, hit this link. Catch DEAD LABEL’s hometown show, with FEAR FACTORY and ONCE HUMAN in Dublin’s Academy on December 10th! Tickets on sale NOW!! For more details check DME PROMOTIONS or just hit this link.